Get the most out of your Calf Raise exercises by using the Force USA Calf Block. Perform standing body weight calf raises or use with dumbbells. Position the Calf Block underneath your Smith Machine bar and load up the weight plates. Place the FORCE USA Calf Block in front of your bench and perform seated calf raises by placing a bar or dumbbells on your knees. It’s NOT just for Calf Raises. Place your heels on the FORCE USA Calf Block and add a variation to your regular squat or use the FORCE USA Calf Block to better position your feet whilst performing a Bench Press. Calf Blocks are a great stand-alone product but also an excellent add-on sale with Power Racks, Smith Machines, Benches, Dumbbells or many other pieces of equipment. Solid, compact and effective, the Force USA Calf Block (CALFBLK) is strong enough for gym use and great for home use. Featuring SteelForce™ Structural Integrity and heavy-duty, the Force USA Calf Block is built to take a pounding. The "Class A" rating Force USA Calf Block comes with a Lifetime Structural Warranty. 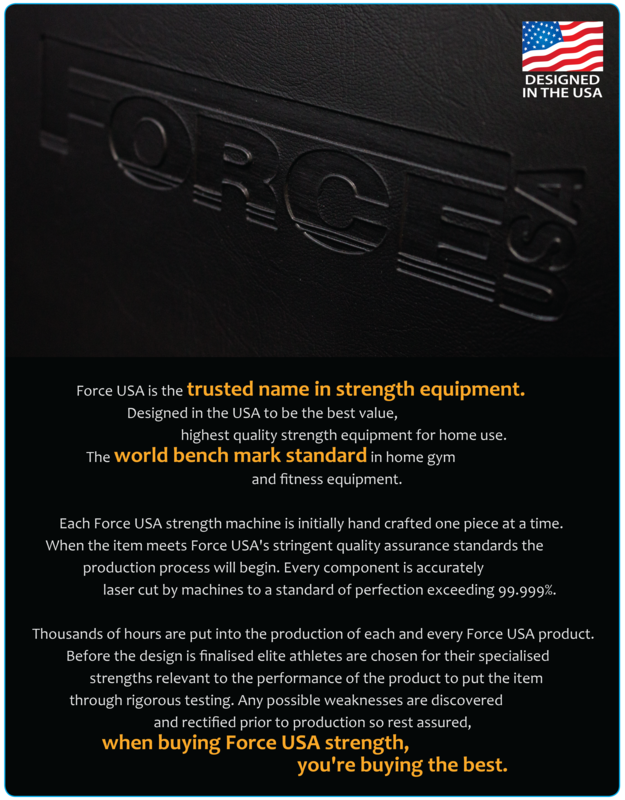 Force USA Calf Block is unmatched in its class and will give you solid and intense workouts for many years to come! The Force USA Calf Block will help you build your Calf muscles with near 100% isolation! Gives you one of the best exercises to build the strongest rock solid Calf muscles! Get a great workout with one of the strongest and most versatile Calf Blocks available. SteelForce™ Structural Integrity - Built to last high quality heavy-gauge steel that supports even the toughest of workouts. EcoCoat™ - Environmentally friendly powder coating. Ease of purchase and fast delivery. Calf block is sturdy and works well. Exactly what we needed! The Force USA Calf Block is more than adequate without the need for a large expense. Provides a full stretch and a high level of stability for even the most advanced bodybuilder. Without even considering the low cost it would be my first choice every time. 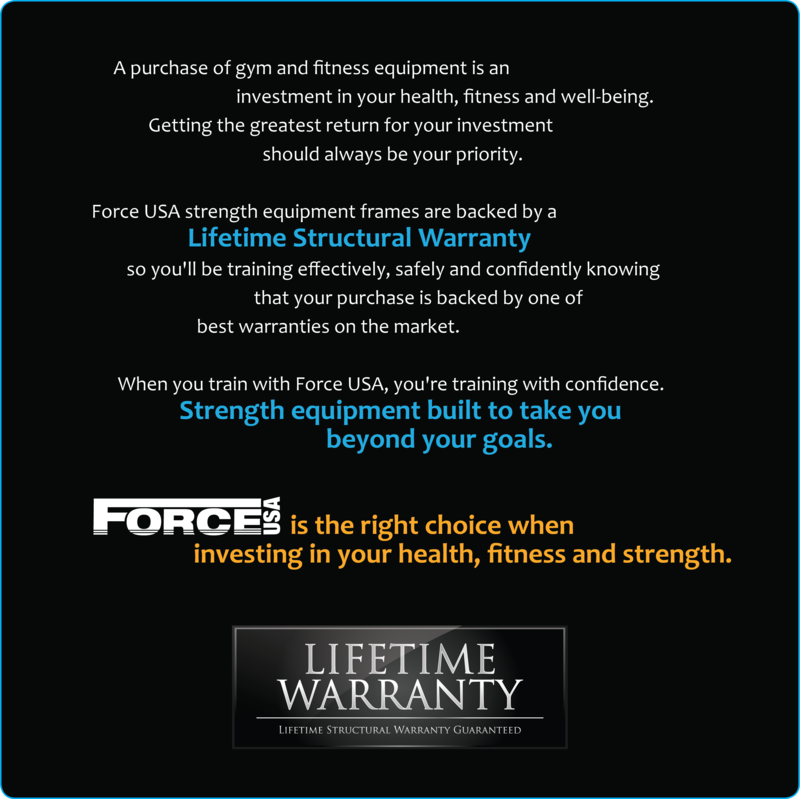 Well done Force USA for producing another great budget product perfect for any home Gym as well as being perfect for a commercial setting.